Hello loves I know I have been a little out of touch but there has been literally no time to do absolutely anything with all the Dr visits my husband needs now a days. For those that follow me on twitter know that in a recent check up on his knee surgery they discovered a small blood clot in his leg. So he is being monitored and medicated round the clock. So while I have a few mins to breath, wanted to share some goodies I managed to pick up this week. I have been a huge fan of Julie G on you tube for quite some time now. She is incredibly popular on there and has great beauty tips and tutorials. When I went to IMATS last year I Purchased one of the Jesse’s Girl nail polishes named after her. She collaborated with Jesse’s Girl and came out with her very own Nail polishes inspired from nail polish looks she created in tutorials,OOTD (out fits of the day) etc. All the polishes are inspired basically from something in her videos over all. All Things Girly and Beauty Guru are SOOO Much Alike. Otherwise I love the Opacity in the application . Go on smoothly and look great! I am trying my very best to get my long list of posts done for you guys ! Mermaid lagoon is super pretty! 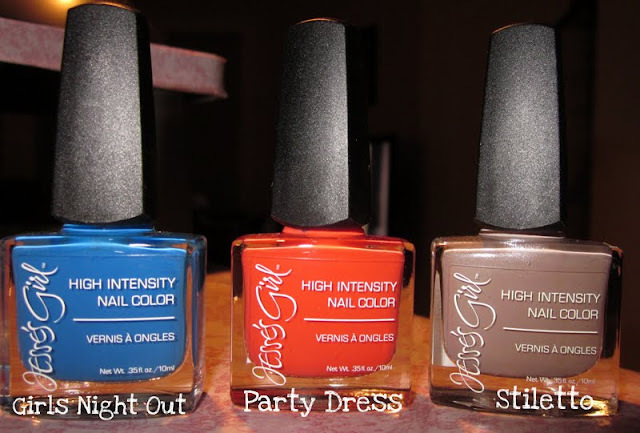 I actually found that I really like jessie’s girl nail polish. The actually have pretty good staying power! I’m so sorry to hear that about your husband:( In my prayers!! I saw her video on these beauties awhile back and they are pretty colors! Too bad there isn’t a Rite Aid near me:( The colors are so gorgeous, thanks for sharing!! You know if Jesse’s Girl ship worldwide? Those colors are amazingly beautiful!